The Top Story show at Top Channel without wanting to stop just as prisoners are in the Tirana prison hospital, brought exclusively the story of Safete Malaj, an elderly 77-year-old. She has committed an inadvertent crime in 2005, to her daughter. "I am here, I made a mistake, I injured my daughter. Inadvertently; I've been here for 13 years and my daughter comes to see me, unwittingly, I didn't wanted to kill my daughter. I casually shot. This is my first mistake in an old age. I bought a pistol, the day I bought I made the wedding. I wanted to try the pistol, the girl was coming and hit her shoulder. That is how it was. It has not been a hassle," recalls the convicted old woman Safete Malaj. For this easy crime, the elderly has been convicted for about 3 years and 6 months, but today she meets 13 years in prison. Even if the Court had given a maximum sentence of 10 years in prison, as the Criminal Code provides, again, Safete had to be out of prison. But she is yet in prison. The reason is very simple. An institutional cramp to rehabilitate her in the the asylum for the elderly caused the 77-year-old to continue the imprisonment, along with 22 mentally ill women. 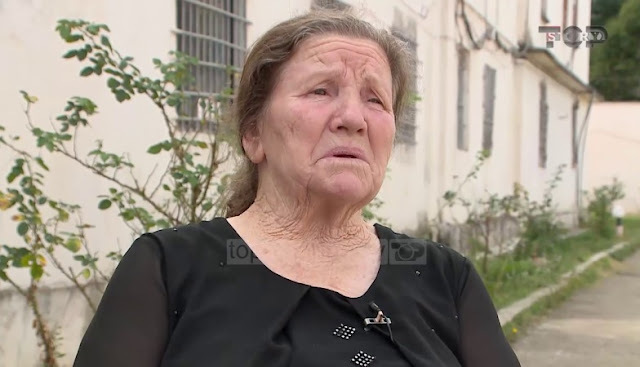 "I want to get out of prison and go to asylum, it's better for me, I do not want to stay here, I have not done any harm to the state," said Safete Malaj. Safete is one of the cases of the rehabilitated patients. After the crime, the elderly passed a depressive stage, but today she is completely recovered and according to doctors poses no risk.